The Little Rock Board of Directors has approved a purchase of 31 Tasers for the police department for about $79,000. The equipment will replace broken Tasers and equip newly hired officers with the technology. Police Chief Kenton Buckner said the department will continue to invest in Tasers as a less-than-lethal alternative to firearms. Solano County Health and Social Services in California will receive $6 million in grant funding to provide mental health, substance use disorder treatment and diversion programs for individuals in the criminal justice system. The funds will be distributed during a three-year period and be used, for example, for an increase in detox capacity in northern Solano County. Connecticut State Police and Manchester Police are among police departments in the state taking part in the campaign, "U Drive. U Text. U Pay," a crackdown on distracted driving. Police will be looking for drivers talking, texting or holding cell phones while driving. The enhanced enforcement effort runs through August 16. During the morning hours of day one of the campaign, Manchester Police handed out 77 tickets. The coroner's office in York County, Pa., will be equipped with naloxone after testing indicated carfentanil toxicity as a person's cause of death. Carfentanil is a powerful synthetic opioid. A release from the office states that carfentanil and any fentanyl-related drug poses a significant threat to law enforcement and other first responders who may come in contact with fentanyl and fentanyl-related substances through routine law enforcement, emergency care, life-saving measures or drug death scenes. Naloxone reverses the effects of opioid overdose. The Somerset County Sheriff's Office will hold a Citizen Police Academy where residents can experience some of the key elements of law enforcement training. The academy, to be held Sept. 14 through Dec. 7, is open to the first 30 people to sign up with the sheriff's office. Subjects to be covered during the academy's 11 classes include civil process, traffic and DWI enforcement, police-involved shootings, media relations and use of force. The Arizona Department of Corrections has a new program to provide Vivitrol to some inmates nearing the end of their prison term to help fight opioid abuse. Vivitrol blocks the brain's opioid receptors and is designed to keep an opioid user from having the ability to get high for roughly a month. Over the next two years, the department wants to find 100 willing and eligible inmates to start on the Vivitrol shot as part of the pilot project. The hope is to keep released inmates from relapsing into drug abuse and reduce recidivism. Inmates in the Vivitrol program are provided with counseling services to help with re-entry into the community. The nonprofit Gang Alternative organization has received a $1.5 million grant from the U.S. Department of Labor to assist formerly incarcerated young adults in Miami. Gang Alternative is one of nine community-based initiatives across the U.S. chosen to receive funds for a comprehensive program to assist adult inmates, ages 18 to 24. The "Reentry Project" will focus on former inmates who will be re-entering two communities in Miami identified with high poverty and high crime. Pennsylvania is training mentally ill inmates to help fellow inmates cope with mental illness. At the SCI Waymart correctional facility, which houses the state's most seriously mentally ill prisoners, 11 inmates are certified peer-support specialists. They go through 75 hours of training and pass an exam. Another 18 hours of continuing education is required each year so they can continue to help guide other inmates on their path to stability. New York Gov. Andrew Cuomo is awarding more than $7 million in grants to a variety of colleges around the state to offer courses to prisoners. The grant program, which will create classes for about 2,500 inmates, will be financed with money from large bank settlements secured by the Manhattan district attorney, rather than general state funds. Inmates in New York are already eligible for classes in about half of the state's 54 prisons, but they are largely funded by private sources. The plan will expand that number of eligible inmates, with seven colleges and universities offering classes in 17 state prisons. Only inmates with five years or less remaining on their sentences will be allowed to take classes. The Massachusetts Department of Public Health will provide $500,000 in opioid abuse treatment funding for five state prisons. The new programs include increased access to medications like buprenorphine and naltrexone, community re-entry programs, and linkages to community-based treatment services. Inmates must be within two months of release to be eligible for the programs. The treatment and recovery services will be available to inmates up to one year after their release. Enhancements in technology have made it possible for the New Hampshire Department of Corrections to perform thousands of additional drug tests annually on its prisoners, which officials say is necessary given the current opioid crisis in the state. Between 2014 and 2016, corrections officials drug tested an additional 64,793 inmates, with the number of total tests rising from 25,790 to 90,583. A pilot project in Montgomery County, Ohio, has been using cognitive computing in juvenile court cases. Judge Anthony Capizzi said juvenile court cases are more complicated by drugs and dysfunction within households. Getting the most out of technology is one way courts can get ahead of the opioid epidemic and the other crises that disrupt young lives. Using IBM's Watson supercomputer technology can help judges sort through information related to the case in a more concise way. The system displays a dashboard of cloud-based information that can be updated in real-time by any court officer. Montgomery County was the first to pilot the technology in a U.S. specialty juvenile court, said Eric Fichtel, director of Care Management for Watson Health. Can Tech Arrest Prisoners' Cellphone Use? The federal Bureau of Prisons is looking for information on how it can leverage IT to prevent cellphones from being smuggled into facilities for use by inmates. In a request for information, BOP wants help identifying technologies and systems that can actively and/or passively prevent inmates from using contraband wireless communication devices. Responses are due Aug. 21. Electronic Monitoring of Defendants Is Increasing, But at What Price? This article discusses issues surrounding the use of electronic monitoring in California, including costs. A researcher at Indiana University-Purdue University Indianapolis has developed a cartridge that can test blood for hard-to-detect concentrations of synthetic illicit drugs in a short time. The cartridge, about the size of a fingertip, separates the drug from a droplet of blood so it can be identified with a mass spectrometer, an instrument used to identify the kinds of particles present in a given substance. 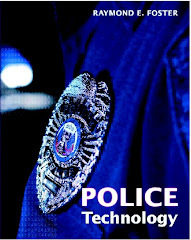 The technology could be useful for hospitals and law enforcement. Research continues.